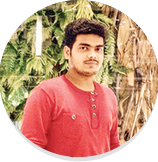 DishaaPro is a reputed training institute in Bhubaneshwar that has offered me training and has added great value to improve my skills in Digital Marketing. During my training, I found that Subhra Mam had immense expertise in the domain and she shared her real time experiences with live examples to make my understanding clear. This in fact helped me to get my dream job today in one of the world’s best search engine companies. I have come across various other institutes also, but the teaching process in DishaaPro is simply unparallel. Here you can get the real time experience, troubleshooting session, etc., which are usually not offered in other training organizations. The faculty members teach you about the latest market trends and techniques and follow the latest industry endorsed curriculum. This actually helps you during interviews and once you start working with a company. At DishaaPro, you will find the best faculty offering you the knowledge and guidance in any aspect related to the course. They arranged for video calling sessions with industry experts and also helped me to prepare my professional CV so that I could stand out from the crowd. Learning from the industry experts and in a live environment boosts your confidence, which most probably no other institutes can offer. They helped me to prepare for interviews and remained in touch on a regular basis to keep me informed about employment opportunities. Since you are looking for a good career option, let me tell you that DishaaPro has placement opportunities also and this makes it easy for you to learn and earn from the same place.